We used to call Information for people’s phone numbers, but not for stuff like this. Reading this makes me wish I would’ve visited with the Information Lady. This story is not mine, and I don’t know who to credit. It’s cute, though. This is a Pacific Northwest story of how people can make a difference in their little corner of the world. You’re going to like this story. When I was a young boy, my father had one of the first telephones in our neighborhood. I remember the polished, old case fastened to the Wall. The shiny receiver hung on the side of the box. 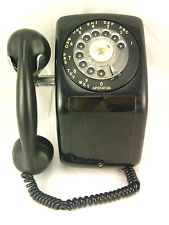 I was too little to reach the telephone, but used to listen with fascination when my mother talked to it. I walked around the house sucking my throbbing finger, finally arriving at the stairway. The telephone! Quickly, I ran for the foot stool in the parlor and dragged it to the landing. Climbing up, I unhooked the receiver in the parlor and held it to my ear. “Information, please,” I said into the mouthpiece just above my head. “Then chip off a little bit of ice and hold it to your finger,” said the voice. After that, I called “Information Please” for everything. I asked her for help with my geography, and she told me where Philadelphia was. She helped me with my math. She told me my pet chipmunk that I had caught in the park just the day before would eat fruit and nuts. “Information,” said in the now familiar voice. “How do I spell fix?” I asked. “Information Please” belonged in that old wooden box back home, and I somehow never thought of trying the shiny new phone that sat on the table in the hall. As I grew into my teens, the memories of those childhood conversations never really left me.